Japanese people of old times would believe the power of "morning tea". They considered it as the one to ward off accidents. Knowing that there are many proverbs related to morning tea in Japan, you may understand what it means. To name but a few.....here are some proverbs related to morning tea. 1) Drinking tea in the morning before you go out avoids trouble. 2) It’s good sign if a tea stem floats upright in your morning tea. 3) If you set out on a trip without drinking morning tea, you have to go back to drink even if you have to turn back halfway. 4) Drinking tea in the morning brings more good luck to you. In practice, drinking tea (especially sencha) in the morning is also good for you at the time of this year to protect from ultra-violation. 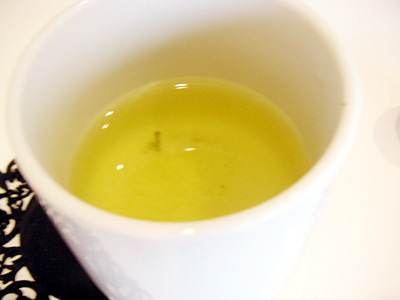 It is because that the tea is rich in Vitamin C, which can remain even in infusion. A morning tea is a must to protect yourself and your beauty, isn’t it? Can "Wakocha" Be a Household Word?